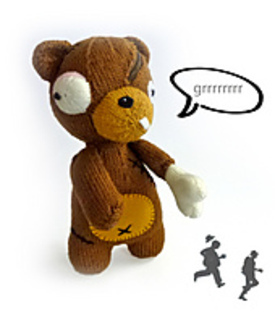 This zombie bear doll is one of my first 4 zOombees collection. 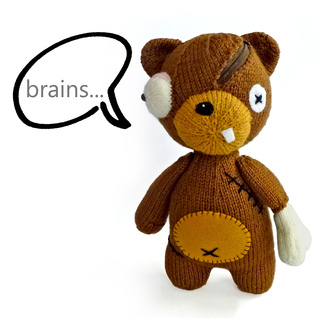 zOombear has an addiction for brains and candy or anything that is sugary. Because of his love of sugary food, he has severe dental cavities, that is why he only have one tooth left. Despite his lack of hand, he still loves his cuddles, hugs and kisses.